EXPERIENCE INCLUDES: MASSAGE (60min), SPA MANICURE, SPA PEDICURE, STEAM + MEAL. Relax with a classic spa day at Kaya Spa and Tribe Hotel. Enjoy a 60 minute Kaya Massage, a Spa Manicure (nail cleansing, trimming and shaping, polish* and hand massage) and Spa Pedicure (nail cleansing, trimming and shaping, exfoliation, conditioning mask, polish* and foot massage) as well as a meal from the Jiko Menu (to the value of Ksh 1700). The package also includes a full day's access to the spa facilities including the steam room and relaxation area. EXPERIENCE INCLUDES: MASSAGE (30min), STEAM + MEAL. Escape the hustle and bustle of Nairobi and take a peaceful pause. Enjoy a 30 minute Restore Back Massage, a meal from the Jiko Menu (to the value of Ksh 1700) and a full day's access to spa facilities including the steam room and relaxation area. EXPERIENCE INCLUDES: SPA MANICURE, SPA PEDICURE, STEAM + MEAL. Because getting your nails done should be a pampering experience! Enjoy a Spa Manicure (nail cleansing, trimming and shaping, polish* and hand massage) and Spa Pedicure (nail cleansing, trimming and shaping, exfoliation, conditioning mask, polish* and foot massage) as well as a meal from the Jiko Menu (to the value of Ksh 1700). The package also includes a full day's access to spa facilities including the steam room and relaxation area. *Gel polish removal and application not included. EXPERIENCE INCLUDES: MASSAGE (60min), STEAM + MEAL. Relax with a classic spa day at Kaya Spa and Tribe Hotel. Enjoy a 60 minute Kaya Massage and a meal from the Jiko Menu (to the value of Ksh 1700). The package also includes a full day's access to the spa facilities including the steam room and relaxation area. EXPERIENCE INCLUDES: MASSAGE (90min), STEAM + MEAL. Indulge yourself with a luxury spa day at Kaya Spa and Tribe Hotel. Enjoy a 90 minute Kaya Massage and a meal from the Jiko Menu (to the value of Ksh 1700). The package also includes a full day's access to the spa facilities including the steam room and relaxation area. EXPERIENCE INCLUDES: MASSAGE (60min), STEAM + BRUNCH. A massage and brunch.... could there be a better way to spend a lazy Sunday? Enjoy a 60 minute Kaya Massage followed by a leisurely Sunday Brunch buffet (11.30am - 3.30pm; unlimited 'Cocktail of the Day' option available for Ksh 1,000 supplement). The experience also includes a full day's access to spa facilities including the steam room and relaxation area. EXPERIENCE INCLUDES: MINI-FACIAL (30min), SPA MANICURE, SPA PEDICURE, STEAM + MEAL. Turn your monthly beauty routine into a relaxing spa experience! Enjoy a 30 minute Dermalogica mini-facial (cleanse, tone and moisturise), a Spa Manicure (nail cleansing, trimming and shaping, polish* and hand massage) and Spa Pedicure (nail cleansing, trimming and shaping, exfoliation, conditioning mask, polish* and foot massage). Additionally, enjoy a meal from the Jiko Menu (to the value of Ksh 1700) and a full day's access to spa facilities including the steam room and relaxation area. *Gel polish removal and application not included. EXPERIENCE INCLUDES: MASSAGE (30min), SPA MANICURE, SPA PEDICURE, STEAM + MEAL. Turn your monthly beauty routine into a relaxing spa experience! Enjoy a 30 minute 'Restore' Back Massage, a Spa Manicure (nail cleansing, trimming and shaping, polish* and hand massage) and Spa Pedicure (nail cleansing, trimming and shaping, exfoliation, conditioning mask, polish* and foot massage). Additionally, enjoy a meal from the Jiko Menu (to the value of Ksh 1700) and a full day's access to spa facilities including the steam room and relaxation area. *Gel polish removal and application not included. EXPERIENCE INCLUDES: FACIAL (60min) + FACE MAPPING (15min), STEAM + MEAL. Lay back, relax and rediscover your glow! This luxury facial package at Kaya Spa includes a 60 minute Dermologica Facial, a 15 minute face-mapping consultation and a meal from the Jiko Menu (to the value of Ksh 1700). The package also includes a full day's access to spa facilities including the steam room and relaxation area. EXPERIENCE INCLUDES: HOT STONE MASSAGE (90min), STEAM + MEAL. A spa day for warmth and healing at Kaya Spa and Tribe Hotel. Enjoy a 90 minute Hot Stone Massage and a meal from the Jiko Menu (to the value of Ksh 1700). The package also includes a full day's access to the spa facilities including the steam room and relaxation area. EXPERIENCE INCLUDES: MASSAGE (60min), BODY POLISH (30min), RASUL CHAMBER (25min), STEAM + MEAL. A holistic spa experience that includes a 60 minute Kaya Massage, 30 minute Body Polish, 25 minutes in the Rasul Chamber and a meal from the Jiko Menu (to the value of Ksh 1700). The package also includes a full day's access to the spa facilities including the steam room and relaxation area. EXPERIENCE INCLUDES: MAKE-YOUR-OWN SCRUB + APPLICATION (40min), MASSAGE (60min), STEAM + MEAL. Have fun making your own aromatic scrub and take the remainder home with you! The experience includes a 40 minute DIY Scrub experience (includes application) followed by a 60 minute Aroma Bliss Aromatic Massage. Enjoy a meal from the Jiko Menu (to the value of Ksh 1700) and a full day's access to the spa facilities including the steam room and relaxation area. EXPERIENCE INCLUDES: MASSAGE (90min), FACIAL (60min), FACE MAPPING (15min), SPA MANICURE, SPA PEDICURE, STEAM + MEAL. 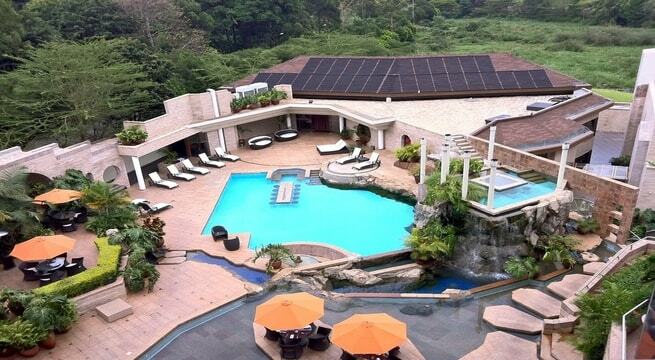 Our most comprehensive Tribe and Kaya Spa Day for those in dire need of some pampering. Enjoy a 90 minute Kaya massage, a 60 minute Dermalogica facial and a personalised face mapping consultation, followed by a Spa Manicure (nail cleansing, trimming and shaping, polish* and hand massage) and Spa Pedicure (nail cleansing, trimming and shaping, exfoliation, conditioning mask, polish* and foot massage). Additionally, enjoy a meal from the Jiko Menu (to the value of Ksh 1700). The package also includes a full day's access to spa facilities including the steam room and relaxation area. Our tip, start early to make the most of this very special spa day. *Gel polish removal and application not included. EXPERIENCE INCLUDES: MASSAGE (60min), STEAM, POOL + MEAL. Withdraw into your mental man cave. Enjoy a 60 minute Sports Massage and a meal from the Jiko Menu (to the value of Ksh 1700). The package also includes a full day's access to the swimming pool and pool deck areas, and spa facilities including the steam room and relaxation area. EXPERIENCE INCLUDES: MASSAGE (60min), STEAM + MEAL. A healing experience for new mothers who need a little TLC. Enjoy a 60 minute '4th Trimester Healing Hour' Massage with a specialised therapist followed by a meal from the Jiko Menu (to the value of Ksh 1700). The package also includes a full day's access to the spa facilities including the steam room and relaxation area. EXPERIENCE INCLUDES: MASSAGE (75min) + MEAL. The ultimate pre-natal pampering experience for Mum To Be! Features a 75 minute Mellow Mama Spa Treatment (body exfoliating massage by trained pre-natal therapist) and a meal from the Jiko Menu (to the value of Ksh 1700). Please note that this treatment is not suitable during the first trimester. EXPERIENCE INCLUDES: MASSAGE (90min), PRIVATE JACUZZI (30min), STEAM, MEAL + SPARKLING WINE. This is the ultimate in romantic spa experiences. Enjoy a 90 minute Kaya Massage in a couples' room, followed by a 30 minute session in your own private jacuzzi with a glass of sparkling wine. Crown the experience with a meal from the Jiko Menu (to the value of Ksh 1800). The package also includes access to the spa facilities including the steam room and relaxation area. EXPERIENCE INCLUDES: MASSAGE (90min), STEAM, POOL + BRUNCH. Sunday morning is a great time to replenish the soul. Relax completely with a 90 minute Kaya Massage and then finish off with Tribe's delicious Sunday Brunch buffet (11.30am - 3.30pm; unlimited 'Cocktail of Day' option available for Ksh 1,000 supplement). The package also includes a full day's access to the swimming pool and pool deck areas, and spa facilities (i.e. 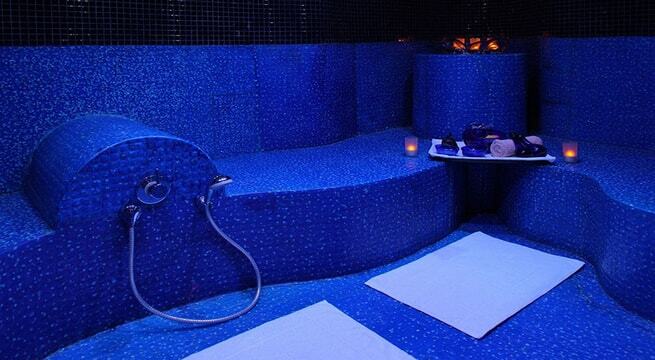 relaxation room and steam room). EXPERIENCE INCLUDES: ROOM INCL. BREAKFAST, DINNER, MASSAGE (90min), STEAM, POOL + GYM. 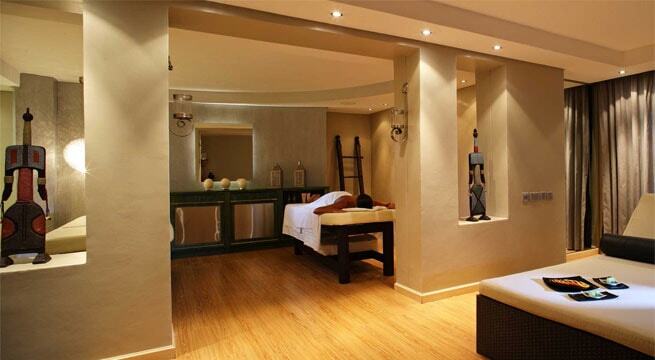 Treat yourself and a loved one or friend to a spa-cation at Nairobi's chic hotel. Stay 1 night in a deluxe room including dinner from the Jiko Menu (to the value of Ksh 1700) and the Tribe Breakfast. Additionally, enjoy a 90 minute Kaya Massage at the Kaya Spa and full access to the spa and hotel facilities including the swimming pool, gym, steam room and relaxation area. Check-in time is 2pm; check-out time is 12pm. Price is per person, based on 2 sharing. Kaya Spa at Tribe takes inspiration from the mysticism and enchantment of the nearby Kaya forests, both in its interior design and spa therapies. 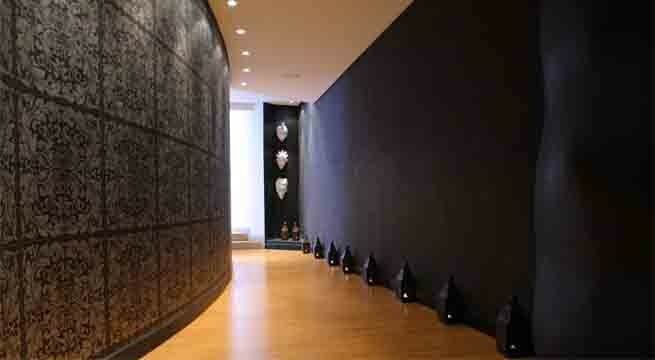 Deep tones, unique artwork and fluid architecture set the pace for a tranquil experience, designed as a sanctuary for the body and mind. The spas hair and nail studio even features a large metal sculpture of a baobab tree as a central element. The five treatment rooms and Rasul chamber offer a variety of spa treatments, from an urban body boot camp and traditional Thai massages to ancient healing therapies. The spa features a diverse product range sourced from around the world, including Dermalogica, Spa Siam from Thailand and Mama Mio. The latter offers a range of pregnancy safe products effective in giving the expectant mother strong, elastic, healthy and well-toned skin. Kaya's skilled therapists are all certified and trained in modern and ancient massage techniques, developed to extract the specific benefits of every product used. Among the spas five treatment rooms, the one for couples features a hot tub wrapped in black mosaic and set in a separate relaxation suite adjacent to the therapy room, while those for men and for women include resting spaces complete with day beds, lounge furniture and steam rooms for pre and post treatment relaxation. 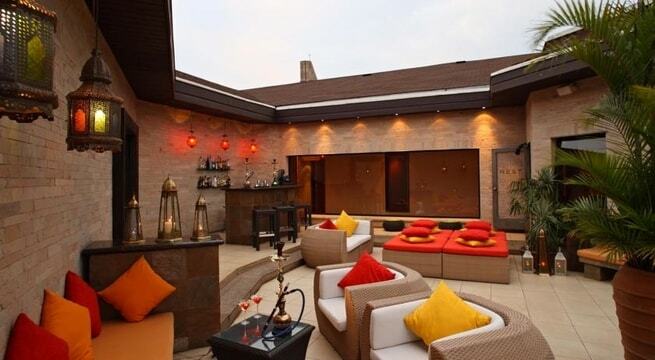 Urban, loft like style blends effortlessly with warm African colours at Nairobi Tribe Hotel, a pioneering lifestyle property that sets itself apart with a typical angles and an unrivalled appreciation for tribal crafts. Some 900 handsculpted artefacts from all over Africa have been gathered here, capturing the diversity of the continent and evoking a sense of splendour that is raising the luxury hotel stakes in the continent. 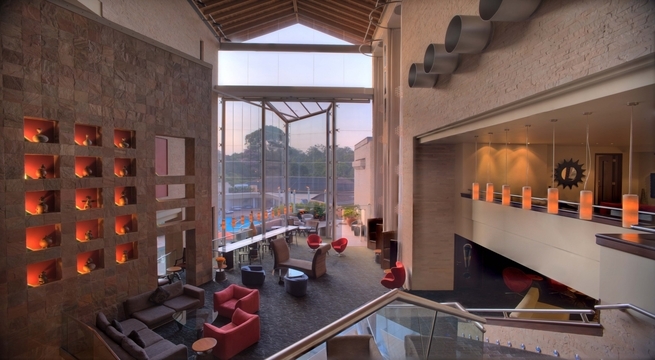 Spread across three wings in the heart of Nairobi diplomatic district, a soaring sunlit atrium links the Tribes 137 guest rooms and suites. Inside, cool granite and stretches of dark Indian slate temper earthy combinations of cumin, sandstone, and brown sugar hues. Architect Mehraz Ehsani continues this balance by using authentic Kenyan materials in the public spaces. These include the Kaya Spa, which takes its inspiration from the countrys sacred forests, the well-stocked library, the rooftop bar, and the heated pool, surrounded by waterfalls and gardens. © 2016-2019 SpaDreaming. All Rights Reserved.